We had a fantastic first sail last weekend, with the temperature in the low 80s and a nice 10-12 knot breeze. 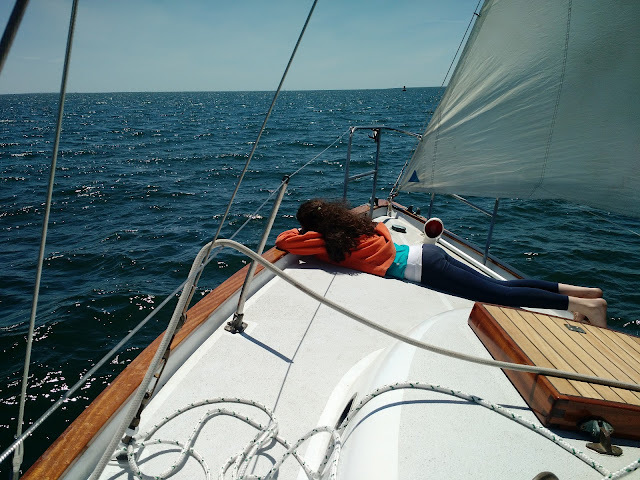 It was completely uneventful except that nothing went wrong (when does that happen on the first time out) and the whole family had a good time. 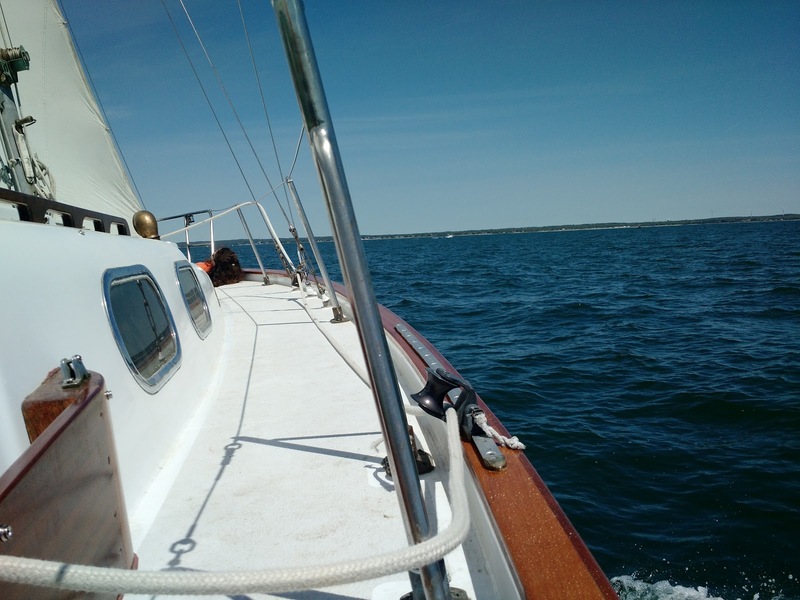 With a South East breeze we were able to sail down to Mattapoisett before tacking out to Cleveland ledge and back across the bay to Marion. 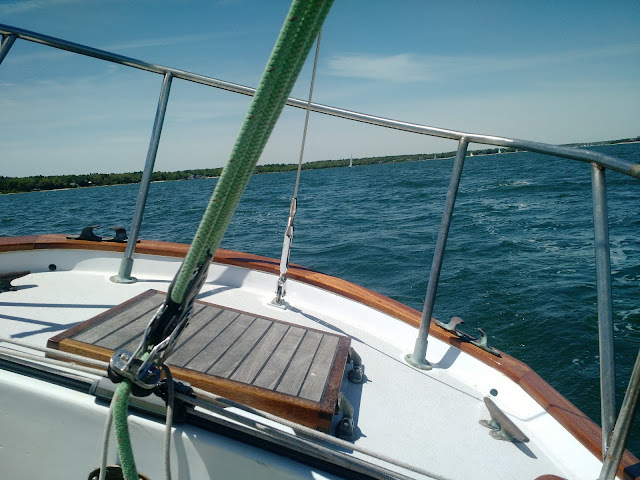 No marathon, just a great Sunday afternoon sail. 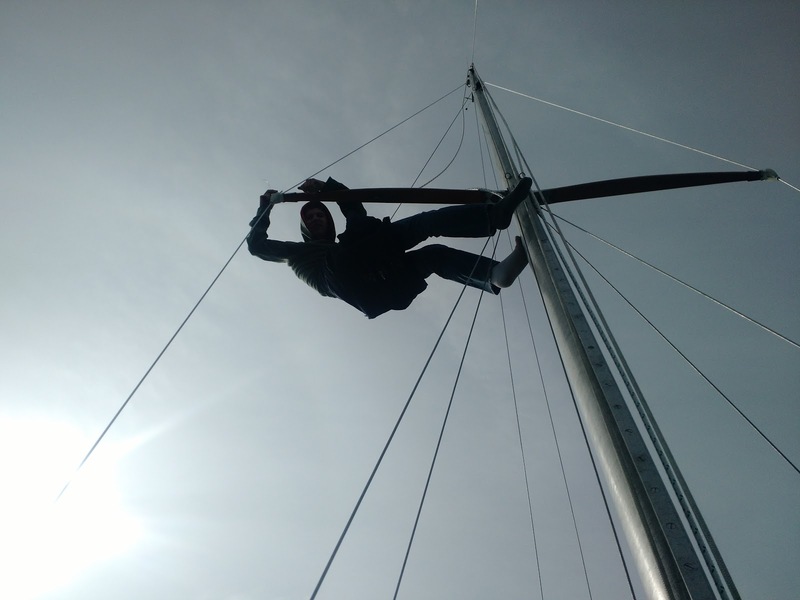 To top it all off, my 15 year old son was excited to get hoisted up the mast to install a wire above the spreader to hopefully keep the birds off.